This month marks the 15th anniversary of Peter Jackson’s epic saga The Lord of the Rings, based on the novels by J.R.R. Tolkien published in 1954, with its first film in the trilogy The Fellowship of the Ring released on December 19, 2001 in North America. Even though fifteen years have passed since the start of one of the most impressive fantasy masterpieces in cinema, The Lord of the Rings still brings fans back to Middle Earth time and time again as if they never left the Shire. So what keeps bringing people back to this modern classic? The answer is easy; these films have heart. They show the true power of what friendship and hope can achieve, they connect with people on a deeper level about what it means to fight for the good even when reality seems so bleak, and they show that even the smallest of people have the power to save the world. And it all starts with important lore: Three rings of power have been given to the Elves, seven rings for the Dwarves, nine rings for the Men and the Dark Lord Sauron has forged the One Ring at Mount Doom to rule over all. There is a great battle in Mordor between the Elves and Men fighting Sauron and his dark army, where Prince Isildur of Gondor cuts the One Ring off of Sauron’s finger destroying his physical form. Isildur becomes corrupted by the ring before he can destroy it and the ring is lost for 2,500 years before it is found by the creature Gollum, then by the hobbit Bilbo Baggins, and finally by his nephew Frodo. In present day we are at the Shire, in the hobbit hole of Bilbo Baggins on his 111th birthday. 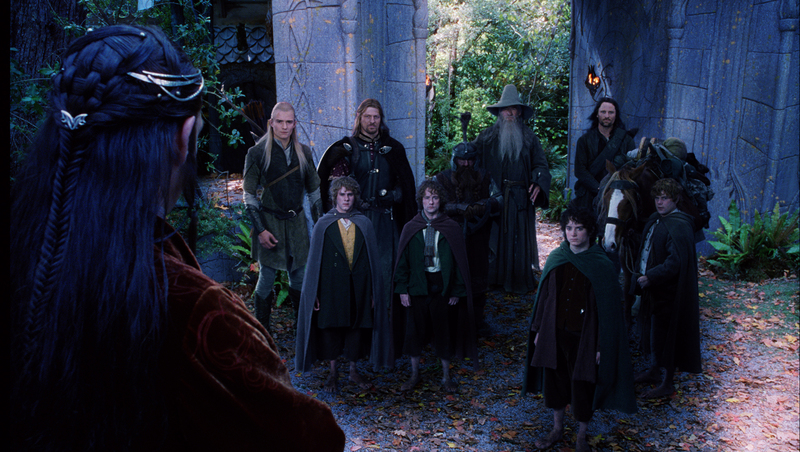 Bilbo knows that it is time to leave the Shire to go on one last adventure. He leaves everything to Frodo, including the one ring igniting the start of a great adventure as Frodo, his loyal gardener Sam, fellow hobbits Merry and Pippin, the wizard Gandalf the Grey, humans Aragorn and Boromir, the elf Legolas and Gimli the dwarf begin their journey as the fellowship to destroy the ring at Mount Doom before it returns to Sauron. 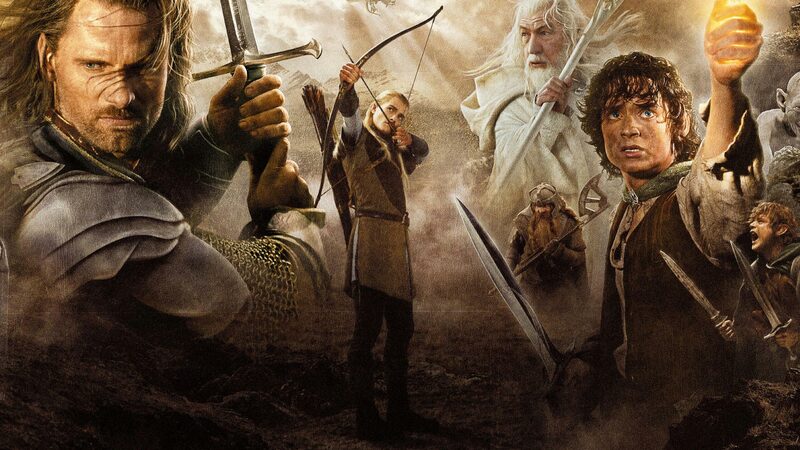 While The Fellowship of the Ring is only the start of the trilogy, which gets better and better with each film, there’s something about it that resonates as the most special for me. From watching the thirty-plus hours of bonus footage and behind the scenes outtakes from the special edition blu-ray, it’s clear how much blood, sweat, tears and passion was put into getting these films off the ground. No one was really interested in adapting The Lord of the Rings into film, but Peter Jackson took on the endeavor doing something no filmmaker has ever done before: shoot all three films back to back. The props team at Weta Workshop had its own challenges as well, hand-making mostly all of the props in order for the films to feel authentic and real, resulting in 48,000 pieces of armor, 10,000 real arrows, 500 bows, 1,800 orc bodysuits, 10,000 orc heads, 1,800 pairs of hobbit feet, over 19,000 costumes and a 14 foot tall Treebeard puppet as just some of the props being crafted over the course of many years. On top of the incredibly detailed miniatures made for the most of the sets, the most impressive has to be Hobbiton which still stands today in Matamata, New Zealand. The life-sized film set was started almost a year before filming to give the impression of real growth and age of the landscape and foliage. The result was a stunning set that looks like it came straight from the mind of Tolkien himself and has stood for centuries undisturbed. It’s a wonderful thing the creators of The Lord of the Rings took a step out that door. Next ArticleFrom the Record Crate: Blur - "Blur"